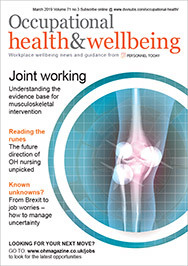 Employers in the main support the fit note, but do not believe doctors are completing them correctly, according to research carried out by Occupational Health’s sister website XpertHR. A report on sick pay arrangements has found that two-thirds of employers did not fully implement the recommendations made in every fit note they received. The main problems, they argued, were that doctors did not understand the nature of individual jobs, did not fill in the notes correctly, or made suggestions that were impossible for the company to accommodate. The survey also found that 44.5% of organisations offer occupational sick pay to workers from the first day they are employed at the company. At the remaining 55.5%, employees were entitled to paid sick leave after a qualifying period, usually six months. A separate study by XpertHR has argued that making changes to the way an organisation deals with absence can reduce working time lost because of it by as much as 80%. On average, the 114 employers taking part in the absence initiatives survey achieved a 30% reduction in absence rates as a result. The initiatives considered most effective were those that encouraged line managers to take an active role in absence management, and those that improved the way return-to-work interviews are conducted. Revising absence management policies and giving relevant training for line managers were also given top ratings by more than one in five employers.